Kenneth A. Watson, 78, a longtime resident of Winchester and formerly of Bow died at home on Monday, March 5, 2018. He passed peacefully after a period of declining health. Kenneth was born the son of the late Maude (Miller) and Kenneth Watson on May 16, 1939 in Concord. He was educated in Concord and graduated from Concord High School class of 1956. Ken enlisted in the U.S. Air Force on May 21, 1956 and completed his service on May 15, 1959 during the Korean War. He was honorably discharged at the rank of Airman 3rd. Class – E3. On February 5, 1969 he exchanged vows with Glenna Howard at the Bow Baptist Church in Bow, NH. 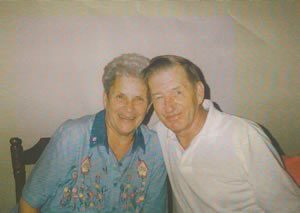 Sadly, Glenna passed on January 24, 2018 after being married for almost forty-nine years. Ken worked as a machinist for MPB Timkin for sixteen years before retiring in 2000. Ken was an avid golfer. He enjoyed going fishing on the lakes, streams and local ponds. When time permitted he enjoyed going bowling. Ken was a longtime member of the Eagles in Keene. Mr. Watson is survived by his six children; Alphonse Cyr and his wife Arnie of Canterbury, Peter Cyr and his wife Barbara of Austinville, VA. Alan Cyr and his wife Rayleen of Hillsville, VA. Glenn Watson and his wife Jeanne of Hillsville, VA. Robert Watson of Marlborough and John Watson of Stoddard. His siblings; Nancy Arnold of Boscowen, Ruby Watson of MD. Robert Watson of Concord, Donna Watson of Pembroke, David Watson of Hebron, Bruce Watson of Bristol and Fay Watson of Franklin. In addition, he leaves several grandchildren, a few great grandchildren, cousins, nieces, nephews, extended family and friends.